I am shamefully late in writing this post. 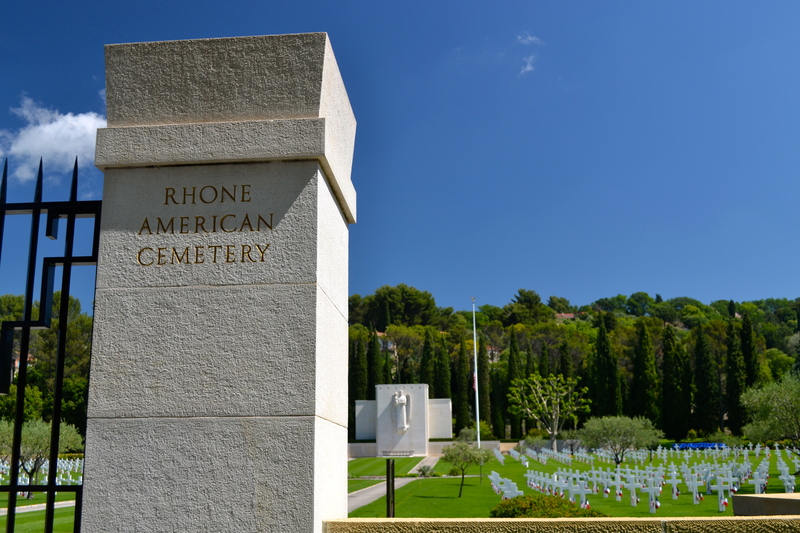 I planned my Memorial weekend trip around seeing the American Cemetery in Rhone, just outside Nice and wanted to post these pictures on Memorial Day. Fast forward almost two months and it’s the 4th of July! 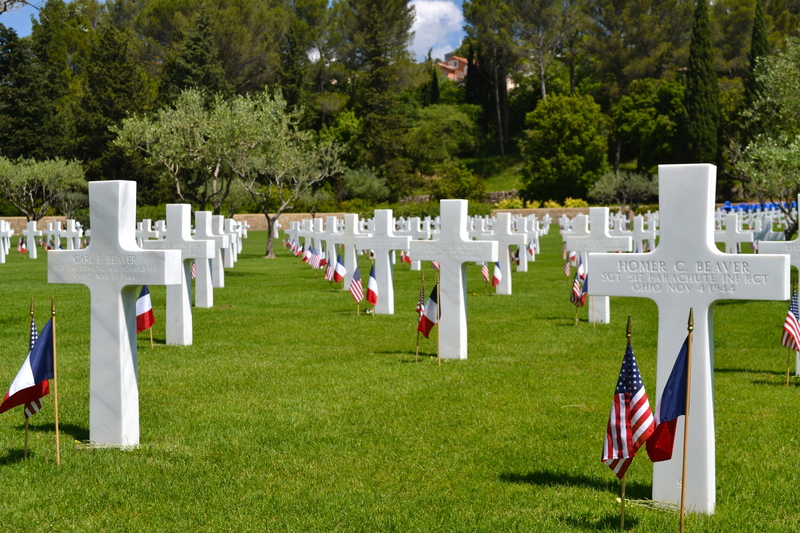 I guess Independence Day is as good as any day to talk about Americans who made the ultimate sacrifice for their country in a far away land. 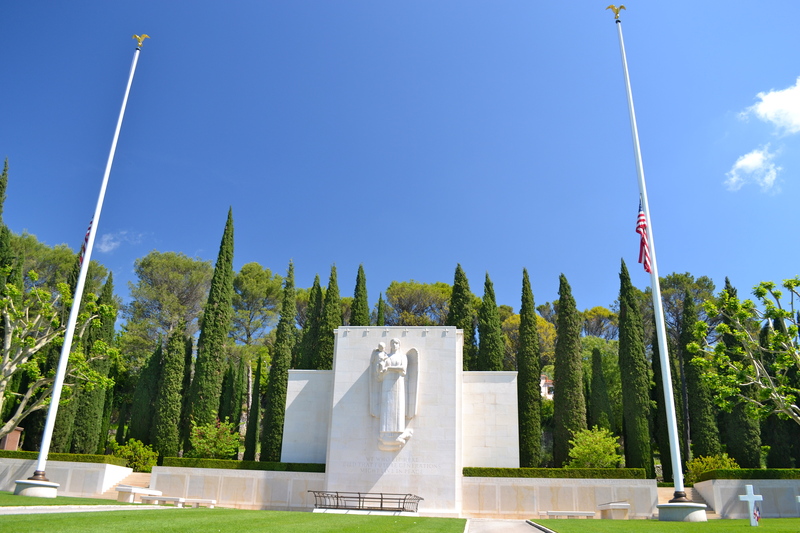 On Memorial Day, the flags are flown at half staff until noon and then raised to full staff for the rest of the day. 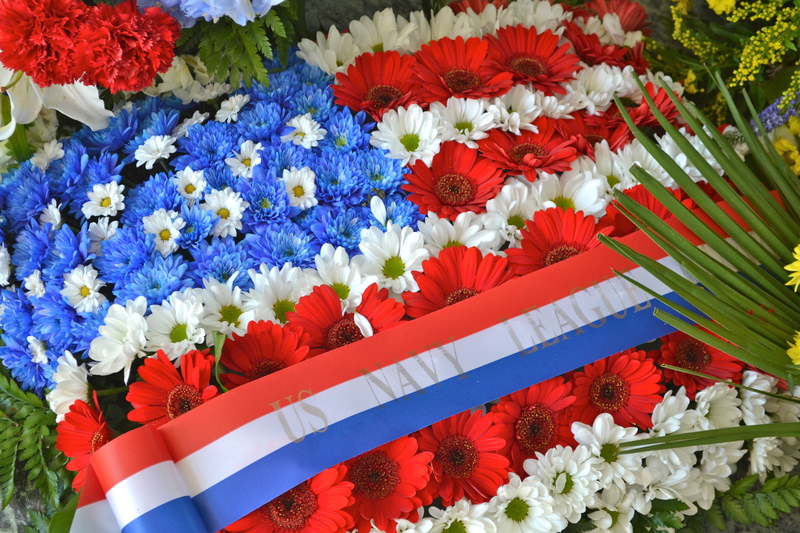 The chapel was overflowing with flower arraignments from veterans groups and local French groups showing their support. 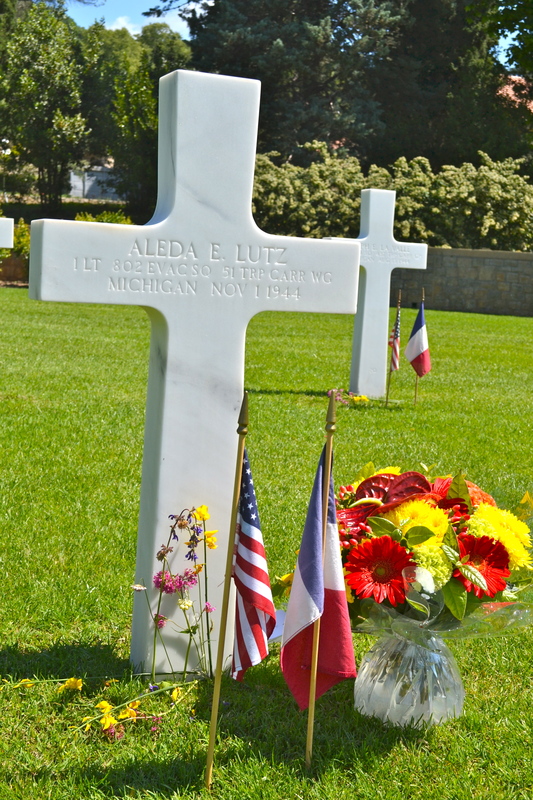 Aleda E. Lutz is the only woman buried in this cemetery. 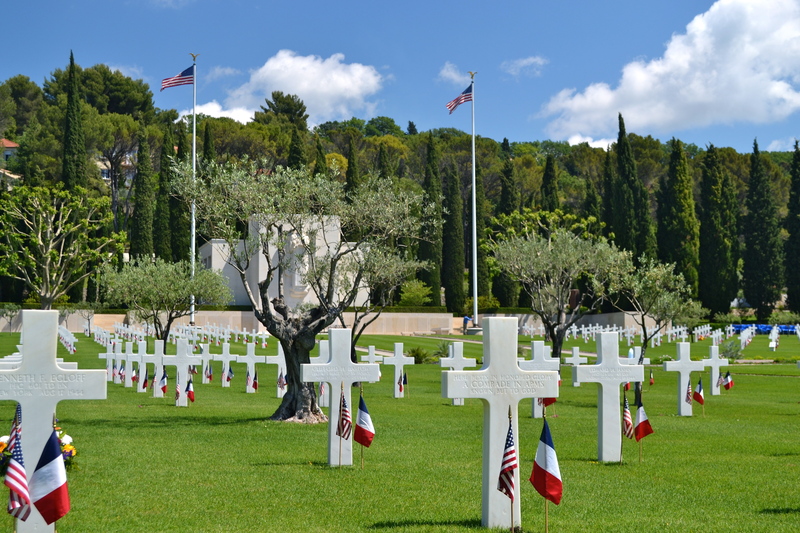 She was just 29 when her plane was shot down as they were executing a medical evacuation. 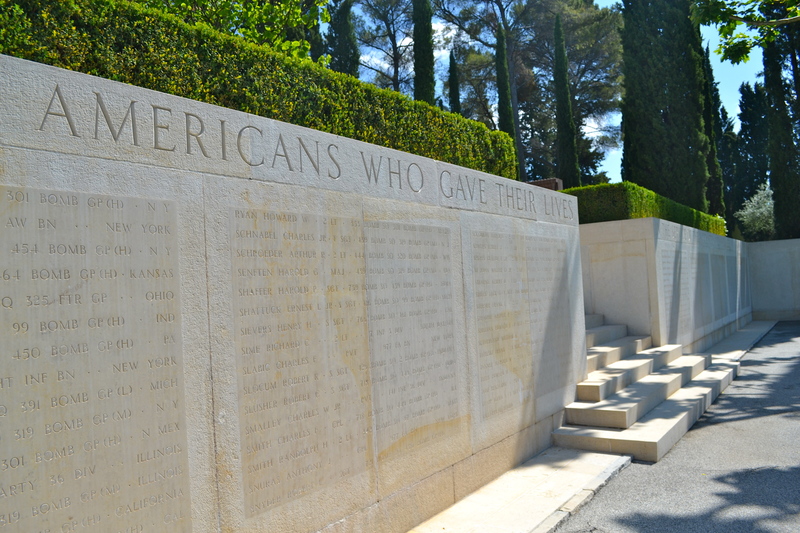 There is still hope for some of these unknown soldiers to be identified. 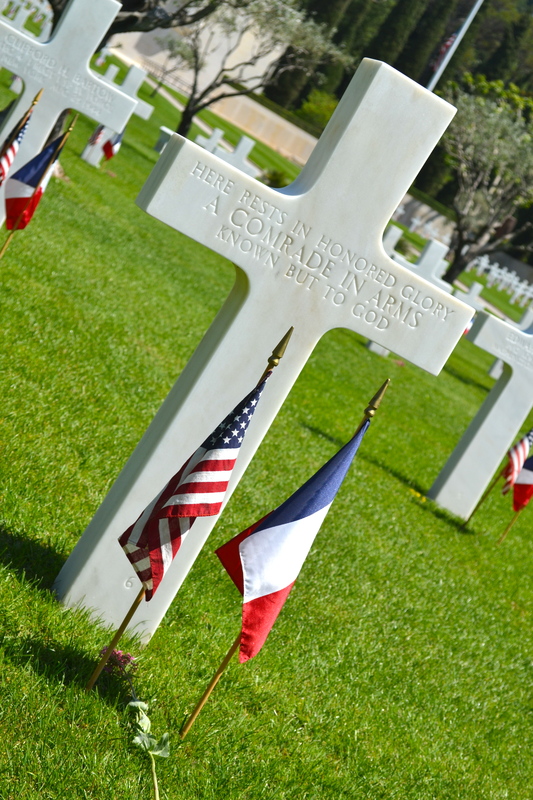 A man from Baltimore who had been buried as an unknown soldier in this cemetery had recently been identified and his remains returned to his family. Carl (on the left) and Homer (on the right) Beaver were brothers killed in the same war, buried side by side. 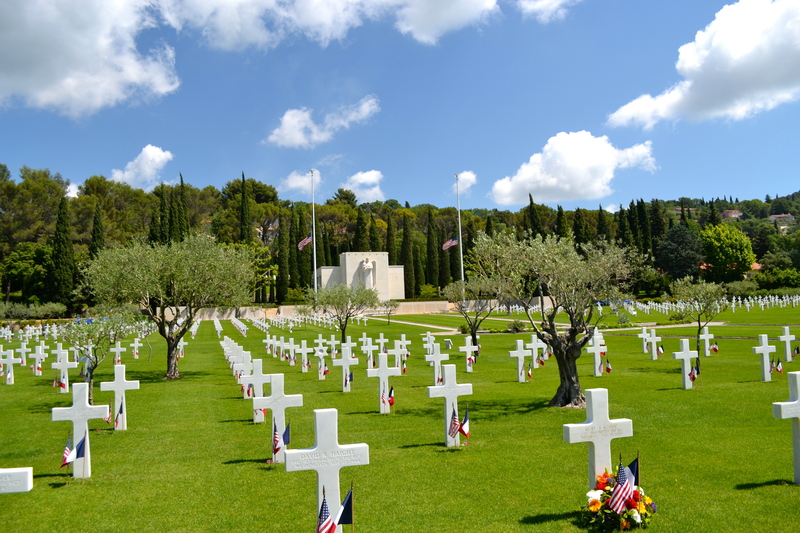 This cemetery was small but beautiful and very lovingly maintained. 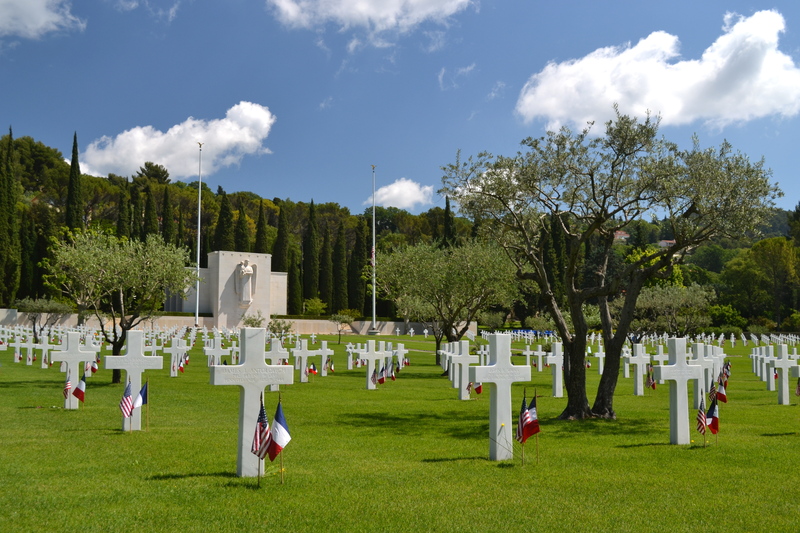 Clik here to see pictures of the Florence American Cemetery. 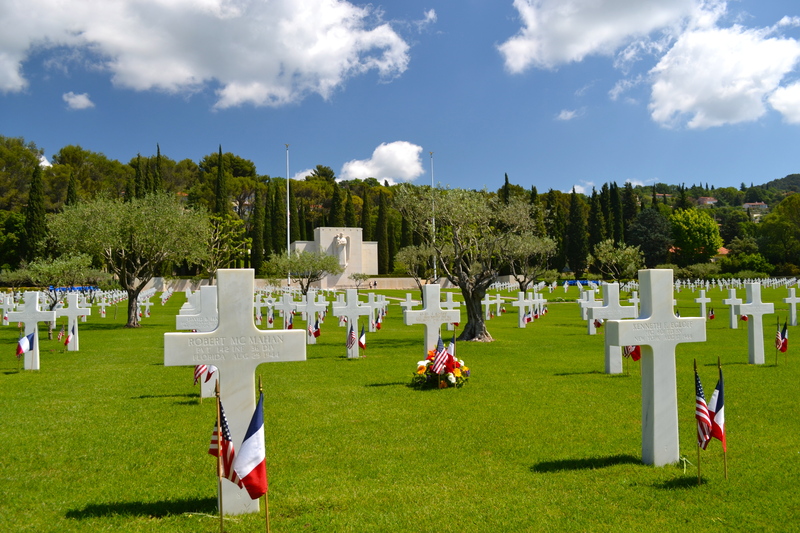 This entry was posted in Uncategorized and tagged Cemeteries, France, Holidays, Independence Day, Memorial Day, Nice. Bookmark the permalink. 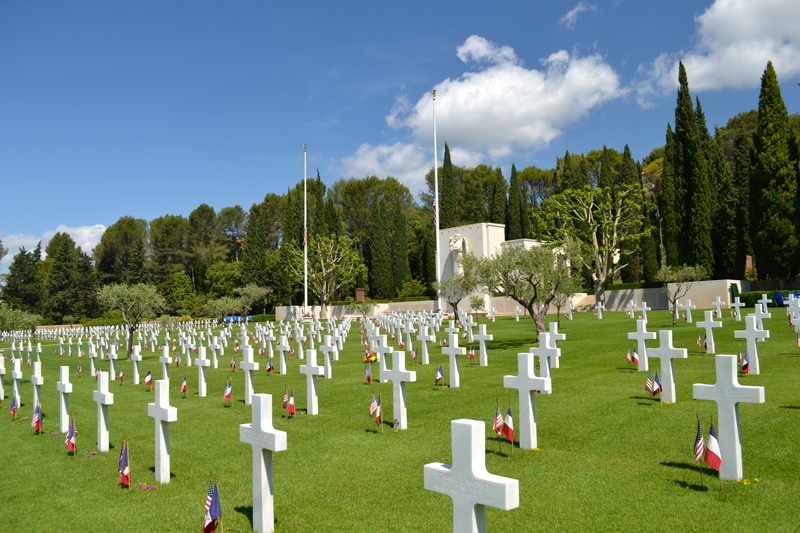 I’ve been to a few of the war cemeteries across Europe, its sad seeing the rows of hundreds of graves, all young people.